We won a CSS Reel award for our new LinkSture.com website! Home / Design / We won a CSS Reel award for our new LinkSture.com website! 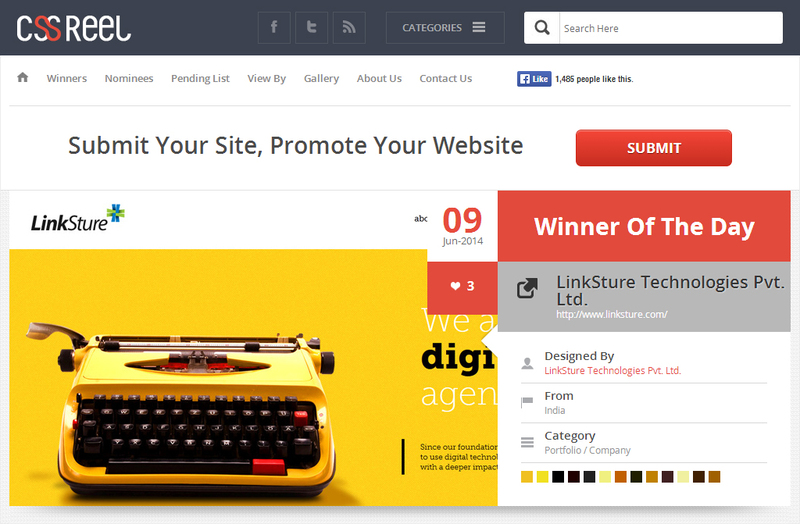 We are really proud to announce that we won a best/featured website of the day award for our LinkSture new website! Just a few weeks after launching our site, LinkSture.com, it was featured on a popular web gallery called CSS Reel. Then, it was picked to receive the coveted CSS Reel award, which is given to the most fantastic, original web designs from around the world.